Are you deciding to shift into a new locality or do you plan to get a bigger house in a high-profile housing society in Pakistan? In either case, people usually remain confused in choosing between a model house and a self-constructed house. However, after thoroughly looking at the advantages and disadvantages of both, making a more appropriate decision becomes easier. Model houses are the residential buildings which housing societies build on their predesigned models. In different phases of the same housing society, the layout designs may vary with respect to the size of a particular land block. Let’s explore some of the advantages and disadvantages of model houses. If you want to shift to a new house on immediate basis, then taking on a construction venture is not a good choice because this is s omething for which you need enough time, money and energy. You cannot skip the hectic process of finding the professional and reliable architect in Pakistan. 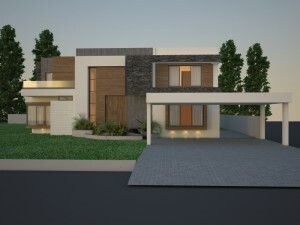 Selection of the architect, budgeting for construction and managing required finances, everything together makes this construction a mind racking project. Thus, going for model houses is a good decision. Model houses are usually available on highly affordable prices. So, don’t need to worry much about the unpredictable budget coming ahead. The ready-made houses in the societies are designed and constructed by professionals, so they usually have a good layout and enhanced overall furnishing. Constructed on modern approach, the model houses allow you to enjoy a modern life-style. Quality and durability of the model houses has always been the biggest concern. There is a common perception that the material used in construction of these ready-made residences is not of good quality, so you might need to spend more on its renovation. As the name indicates, model houses are constructed on specific building codes, so you have a considerable design limitation. As described earlier that quality is the biggest concern while constructing model homes; therefore, purchaser usually don’t prefer to pay much for such homes, especially if these are older enough and are not renovated on the regular basis. These are the houses which you get constructed on your own. Building a durable and modern house must be your top priority for which you will hire the services of a renowned architect in Lahore. Using quality material becomes the first choice when it comes to building your own home. You get an open choice to use the material you want. Although, constructing homes in housing societies requires you to use pre-designed building codes but still you get enough choice to add a personalized effect. Getting your construction work done by a renowned and reliable architect gives you maximum satisfaction about the quality and standard of the house you are going to build. As you are choosing everything of your choice so budget planning becomes easier. For this, you should first consult a professional, provide him/her your requirements for construction and get a budget plan accordingly. You cannot start a construction work at the eleventh hour. Make sure you have sold your old house after constructing the new one, or you have rented a house as long as the construction gets completed. Quality work requires money and there is always a room for miscellaneous expenditures in case of sudden rise in the prices of materials or any other similar issue. You have to give proper time to keep a check on the whole construction process to make sure that the project goes according to the plans. While planning to move in a new house, you have both the options – either to construct a new home or to purchase a model house; however, your final decision depends on the factors mentioned above.